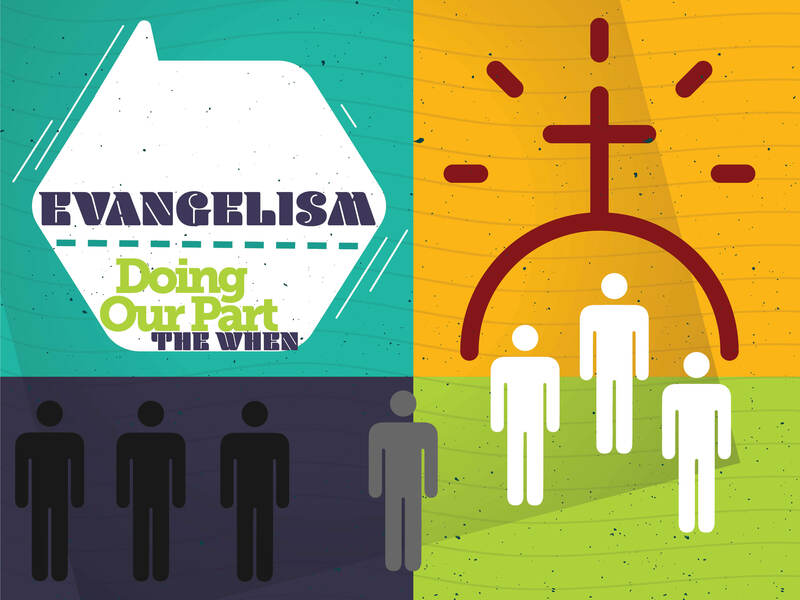 Over the last three weeks we have been looking at the subject of evangelism. With all this talk about evangelism and knowing the Gospel, when is one ready to go and share the truth of the Gospel message? As we know Jesus had his twelve disciples that he chose, but Jesus had many other followers or disciples with him, He had his inner circle, and then another group of followers, and then a much larger group of followers. We read in the Gospels that he exposed them to ministry seemingly before they were ready. He threw them in the deep end as it were. Jesus didn’t spend hours in a classroom with his disciples, it seems that he gave them some brief instructions and then sent them out. You may remember that just before Easter we looked at the journey that Jesus took to Jerusalem, and how he resolutely set out for Jerusalem, knowing that he would be crucified there. In Luke 10 Jesus selected seventy two disciples and sent them into all the towns on the way that he was planning to go. They were to prepare the way for him, to herald the coming of Jesus. Before they went Jesus gave them some instructions, the instructions we have recorded in the Gospel of Luke are simple and brief. This was not a coach team talk or a pep talk to get them fired up. Jesus warns them that it is going to be tough, he says in verse 3; “ Go! I am sending you out like lambs among wolves.” Not very encouraging! After some practical details, Jesus gives them some ministry instructions about what to do when they are welcomed in the town. (See verse 9). I can imagine the disciples feeling a little nervous at this point. They had seen Jesus heal many sick people, but now he was giving them the power to do what he did. They were to go into the town and demonstrate the power of God – heal the sick – take care of the physical needs of the people. Jesus demonstrated his power and then taught, it was not just a way to get attention, and it was to prove that he had the power to back up what he was teaching. As we go and share the Gospel, we must care for the physical needs of people, praying for healing, showing compassion. Compassion without sharing the Gospel is temporary pain relief, but sharing the Gospel without compassion often is fruitless. After healing the sick their message was very simple as we read in verse 9; “tell them, ‘The kingdom of God has come near to you.’” They were to herald that God himself was going to visit their town. Everyone had a choice to make, either accept Jesus or reject him. Unfortunately many chose to reject him, and they crucified the Prince of Peace. Jesus lists three towns that rejected him. Chorazin, Bethsaida and Capernaum. 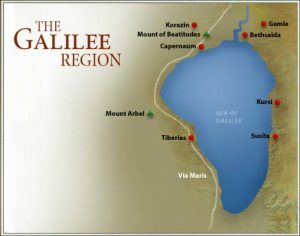 These three towns on the northern shores of the Sea of Galilee where the places where Jesus had spent most of his time in ministry. They had seen his miracles and power, they heard his words of teaching, and yet many of them rejected him. Because of their knowledge, Jesus said they would be punished more severely on that final Day of Judgment. We need to hear this warning, we have overwhelming access to the Word of God and teaching, we must be very careful that we do not reject the Word of God. The 72 returned with great rejoicing. I am sure they left with fear and anxiety, but then they saw the hand of GOD and they witnessed His power to change lives. They must have run back to Jesus with excitement and joy that was probably heightened by relief. Just like these disciples, when we go out as His ambassadors, weak, fearful perhaps expectant, and then God shows up and we see lives changed. The disciples weren’t the most equipped, they were not the Bible scholars of their day, but they were followers of Jesus and that made them qualified. If you are a follower of Jesus you are qualified. Never disqualify what God has qualified! Remember you and I are ready to do what God has called us to do today! This is the foundation of a missional church. Every member on mission. That is my heart and desire for us as a church, how we can all be a part of the mission of God. Yes we are all weak and broken, we all have good days and bad. We are all weak sinners saved by the Grace of God and totally reliant on the Gospel for every single day. In order to be a witness for Jesus Christ, there is only one pre-requisite, one qualifier that you must have – you need to be a follower of Jesus. You need to know Jesus as your Lord and savior. When Jesus becomes your Lord and you receive the Holy Spirit, you are equipped. In the church today we have so many courses and training programs on evangelism, and these are all good, I don’t want to minimize them, but sometimes we attend course after course, but never actually do the work of going out and sharing the Good News. Just remember, God will never ask you to do something that he hasn’t prepared you to do. You may feel completely incompetent, but with the Holy Spirit leading you, you will find that He equips you along the way. Let us be a church on mission, seeing revival and transformation in our community to the glory of God.